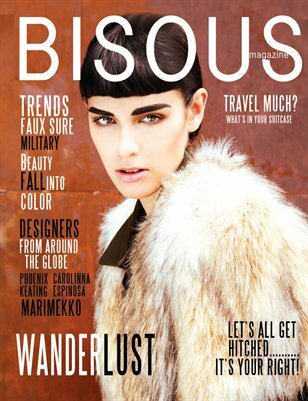 Bisous Magazine is a digital fashion quarterly magazine and blog offering new and exciting trends for the cool kid in all of us. We are a coalition of savvy peeps who work in the fashion industry as photographers, creative stylists, beauty stylists, models, it girls/guys, directors and designers of must haves. We’re fun, we’re nice, we’re mean, we’re opinionated. Be a joiner, come on I know you want to.